An unusual gilt metal console of a design not seen before by Italian designer Pierre Luigi Colli. c1950. 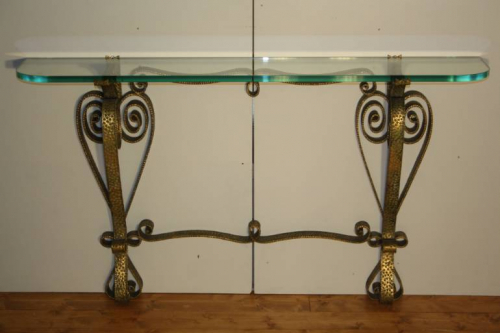 Beautifully worked hammered and gilt metal base which supports a thick glass top. No chips or scratches to glass. Lovely elegant proportions to this very stylish piece.